Picky eaters. Everyone feeds them at one time or another. And everyone has times they need supper prepped fast. 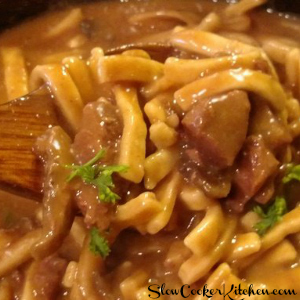 This crock pot casserole dish handles both! 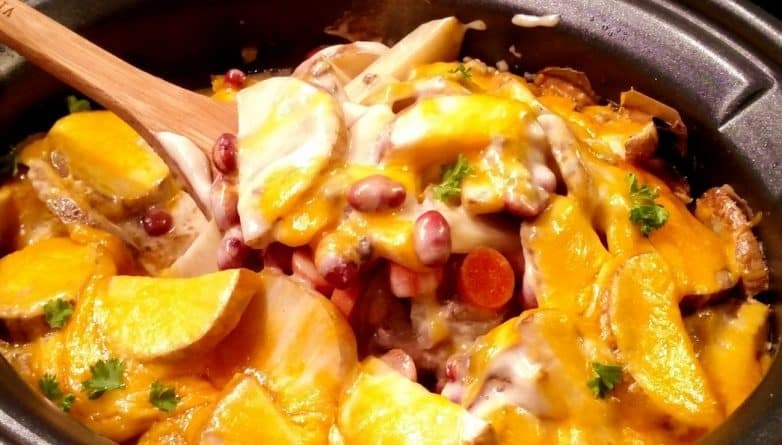 A reader requested a hamburger potato casserole recipe. This isn’t quite the recipe she requested but it’s SlowCookerKitchen.com’s adaptation of something pretty close! The original recipe requested had celery in it. And I couldn’t use celery. Not because I was cooking for a picky eater (this time), but because my father-in-law can’t have celery with the medications he has to take. Soooo…a slight adaptation was in order. Recommended for Quick & Easy Crockpot Everything Burger! Like I was babbling about above…if you don’t care for/can’t have an item listed in the ingredients…substitute. 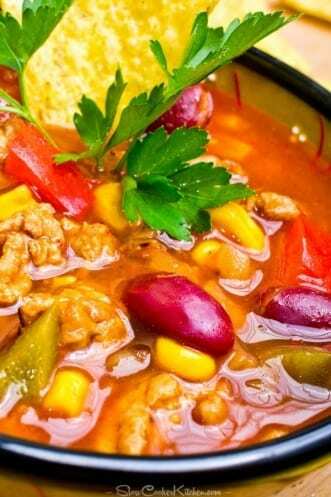 A perfect example is the kidney beans in this recipe. It can easily be celery instead. A standard sized US can (something around 15 ounces) is 1 1/2 to 1 3/4 cups depending on the amount of liquid in the can. You can just substitute the same amount of celery OR any other sort of bean or veggie you have/like. 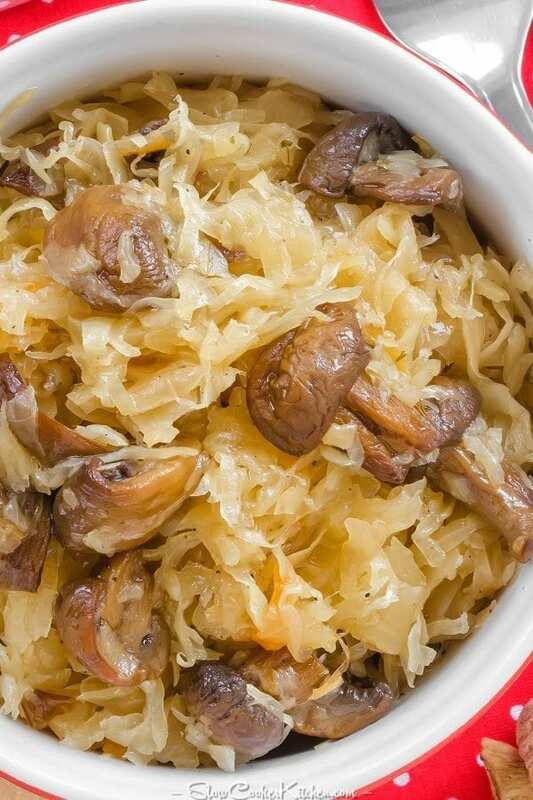 There are not hard and fast rules for the recipe…it’s super adaptable! 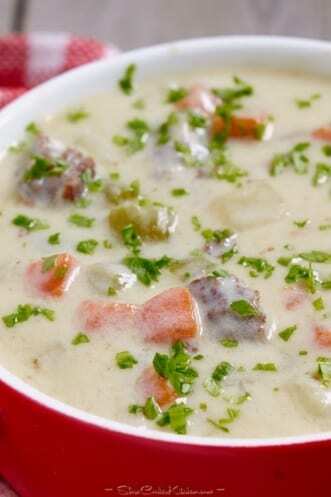 Mix up the cream soups and the broth/stock in a separate bowl and set it aside to combine. Then layer the fried and drained ground beef, then the onions, carrots (or celery or beans or whatever)…THEN one more veggie of your choice (I did kidney beans) and then lastly, the potatoes. Then, about 10 to 20 minutes before you’re ready to eat, sprinkle on some cheese. Cover and let it melt. The cheese is another optional thing. Leave it off if cheese doesn’t fit your diet…it’s still YUMMY! Psstt! That meat was COOKED right in the crockpot! Soooo very cool! 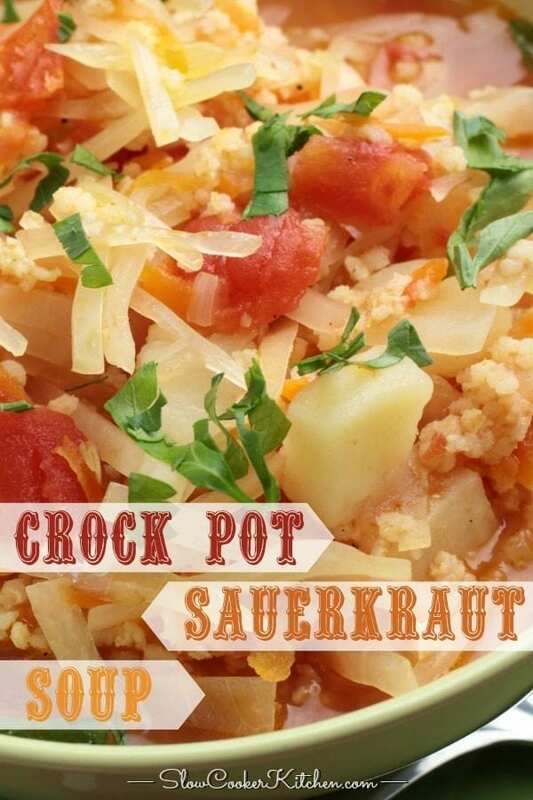 All you need is a crockpot that has a saute/simmer setting! 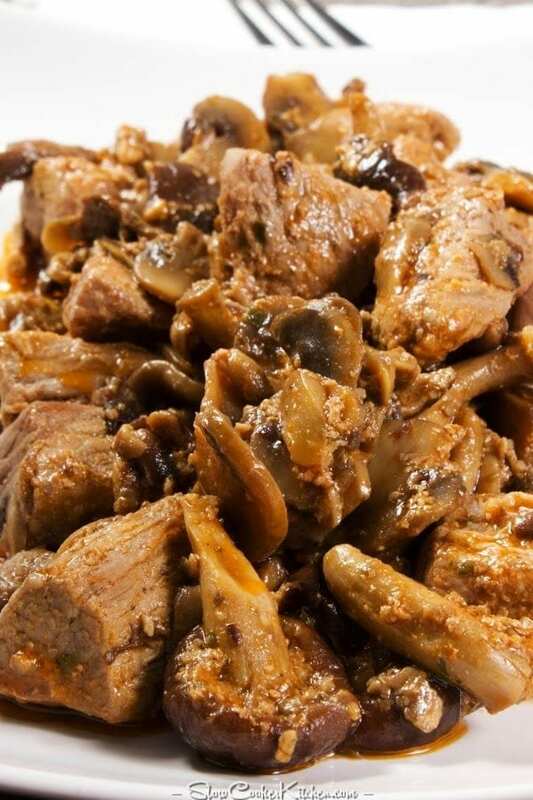 They are super handy and clean up is a breeze :) The meat and the onions both got fried right in the slow cooker!
. It’s a true lifesaver for cleanup AND it’s awesome if you’re camping/RVing…cause its one less thing you need to pack! I got the 4-quart model. Not only because I didn’t have 4-quart crockpot/slow cooker… because there are just two of us that live here now. There are 6 and 7-quart options too! This model does a whole host of things that take rockin’ your crock to the next level… You can check out the review on it if you’d like to read more in depth (next week). 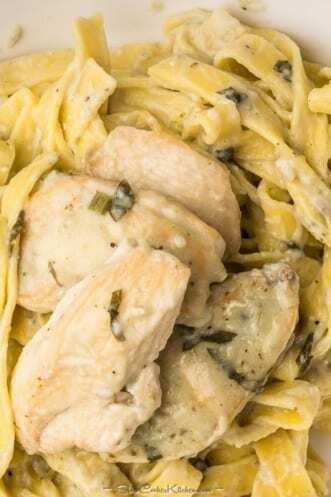 Deliciously easy, awesome for picky eaters AND it's super adaptable too! 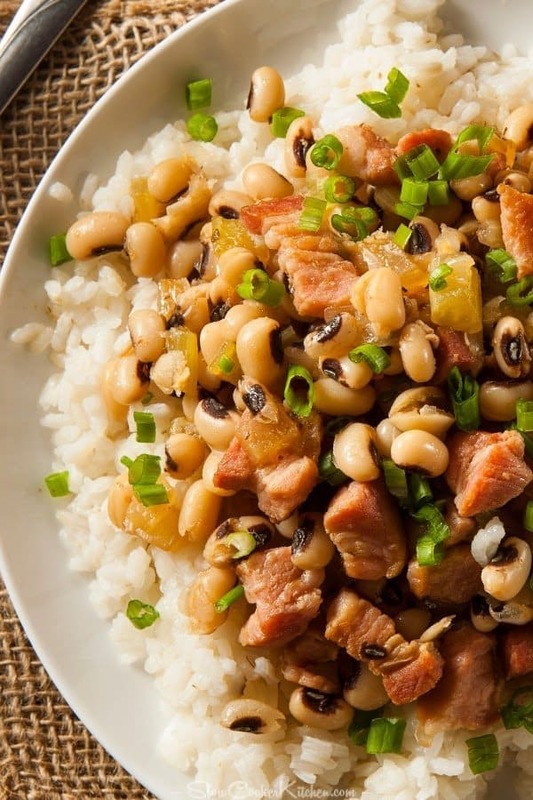 Find this slow cooker deliciousness and LOTS more @ https://www.slowcookerkitchen.com. 'Cause we can help you rock that crock! Cover and cook. On low you can go as little as 6 1/2 hours. And I've cooked it as long as 10. It's done at 6 1/2 or so, but the flavors will combine and meld better if you can let it cook longer. '20 minutes before serving, top it with cheese. Cover and allow to melt. 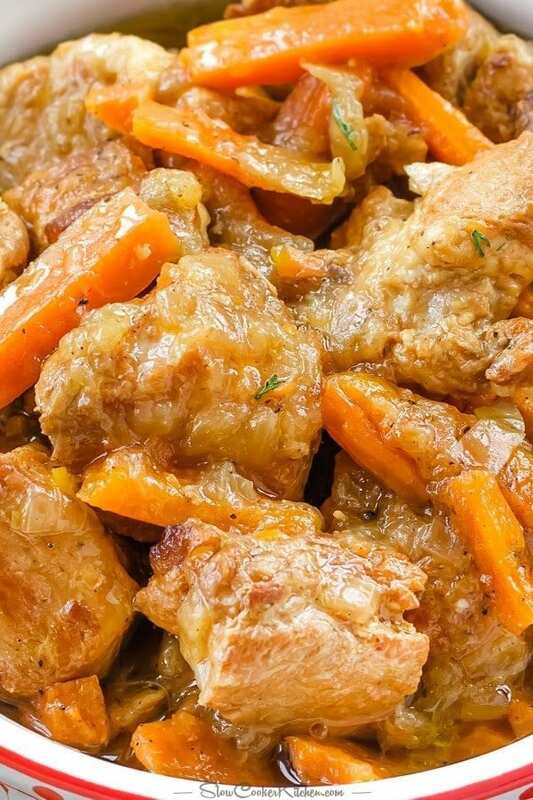 I purchased frozen carrots and potatoes for this recipe. I have just never had much luck with freshly frozen potatoes. The carrots are optional, fresh or frozen either one will work. Toss the ingredients into a pre-labeled, 1-gallon slider-style freezer bag. 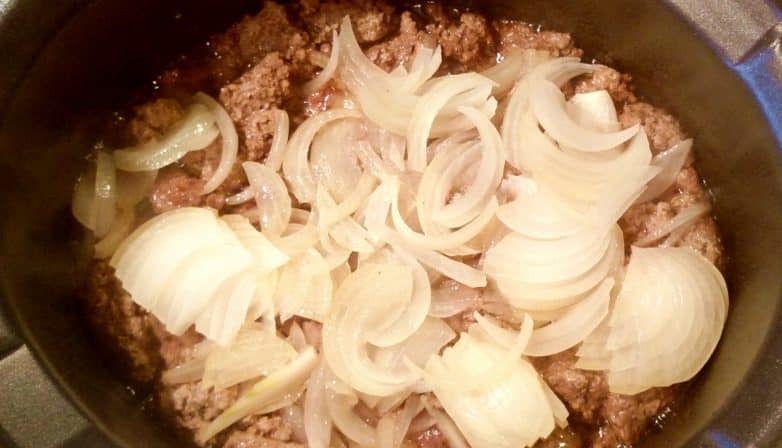 In the following order: ground beef, then onions (or the ground beef mixture if you are using the make-ahead ground beef, then the beans and top with the creamed soups and broth. Place the cheese in a separate 1-quart freezer safe bag. Stack the frozen potato bag, then the carrots, cheese bag and lastly, the bag you just made up. Use freezer tape them all together. Butter or oil the crockpot insert. 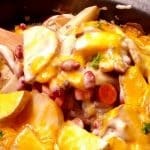 Layer potatoes, carrots, then meat and bean mixture. Cook 6 to 8 hours on low. Or 4 to 4 1/2 on high. '20 minutes before serving, top with the cheese and cover until melted. Can this be done in oven?? Gwe,made this toda y in the oven.I used cover fish and did not have to use more liquid! I added some spices (your taste) to make sure it wasn’t too bland,but that’s just us.Thank you for recipe and tips!Will continue to follow! 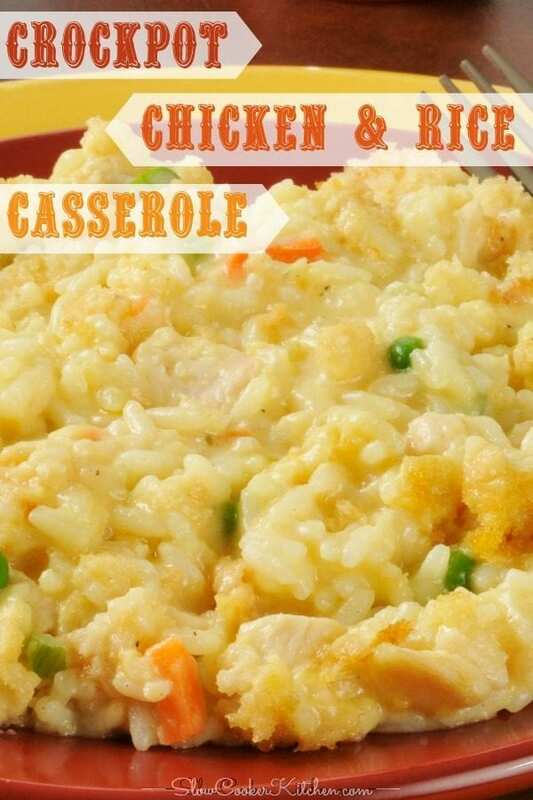 Great sounding recipe, I love a good casserole and this sounds like it fits the bill perfectly. I will make this soon and will comment on the results as well. That’s 8-10 on LOW. So sorry I left that out. Thanks for calling it to my attention. I’ve updated the recipe and added a little clarification. @ about 6 1/2 it will be done. At 8 or so the flavors have time to mix and meld. But I’ve been away and cooked it for 10 hours and it was still yummy. I hope that helps. Enjoy!